A lovely bonnet for Charlene! Would you buy raisins from this lady? 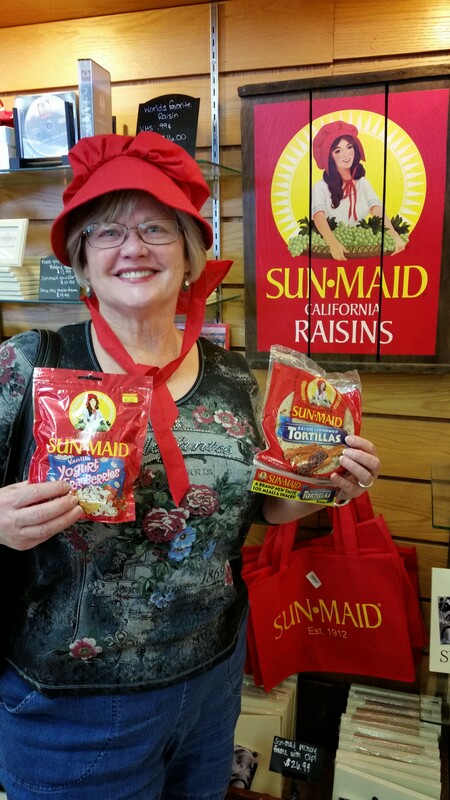 We visited the headquarters of Sun-Maid in Kingsburg, California today. They had every type of raisin you can imagine. Many were covered with chocolate, caramel, or yogurt. Free samples of many types were available. 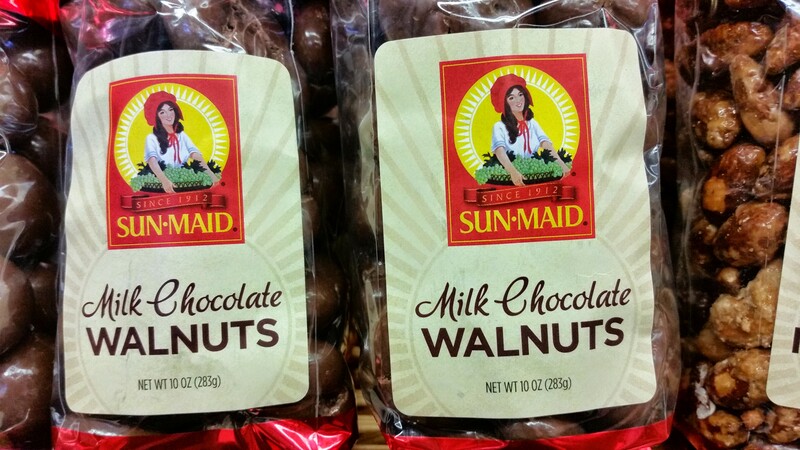 Chocolate covered walnuts are hard to find, but they were available at Sun-Maid! 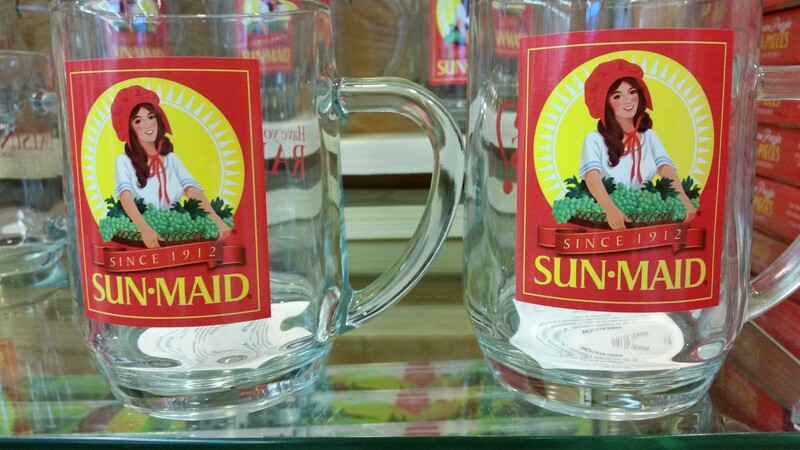 All kinds of Sun-Maid items were available. Mugs, pins, and yummy snacks were everywhere. After extensive negotiations, we left with 5 different snacks to share.